Admire the natural pairing of traditional and contemporary design in the new Television Bench from the Westlake Collection by Sonax. 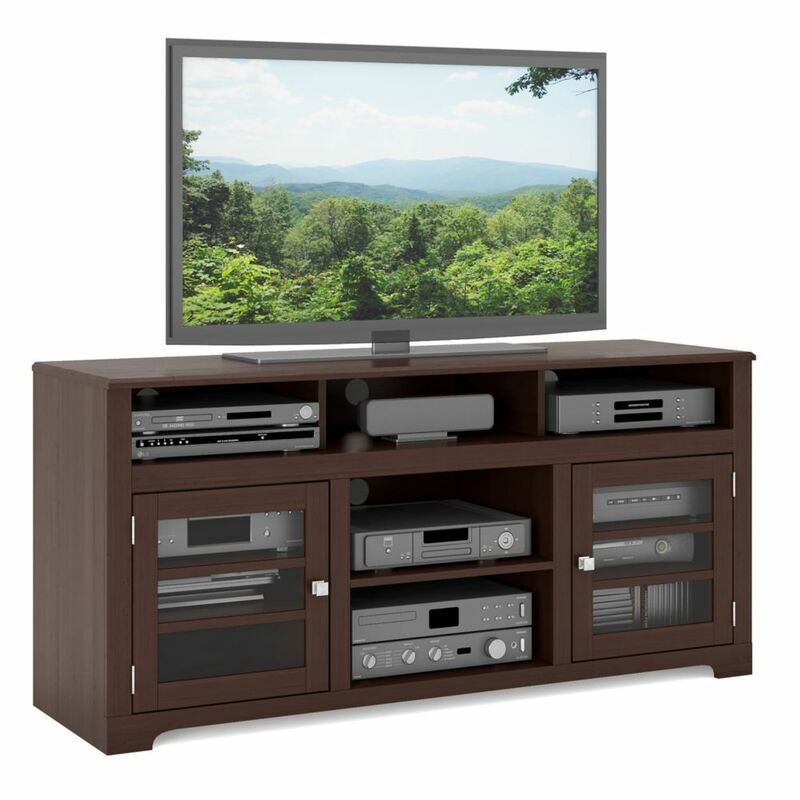 This timeless piece is featured in our Dark Espresso stained wood veneer and accented with tempered glass cabinet doors with horizontal wood trim. Offering a variety of open and concealed storage options this prominent bench is perfect for all of your A/V components and accessories and can accommodate most TVs up to 68. Skillfully designed, this Prepac bench is just what you need to complete your space. Add contemporary flare to any room with the combination of solid wood construction and espresso finish. Your home will benefit from the unique and well-constructed black frame. E-9462-BW West Lake 60" Television Bench in Dark Espresso Admire the natural pairing of traditional and contemporary design in the new Television Bench from the Westlake Collection by Sonax. This timeless piece is featured in our Dark Espresso stained wood veneer and accented with tempered glass cabinet doors with horizontal wood trim. Offering a variety of open and concealed storage options this prominent bench is perfect for all of your A/V components and accessories and can accommodate most TVs up to 68. E-9462-BW West Lake 60" Television Bench in Dark Espresso is rated 5.0 out of 5 by 1.